One of three story games from the book Crystal Healing, an RPG companion to Panorama by La Dispute. 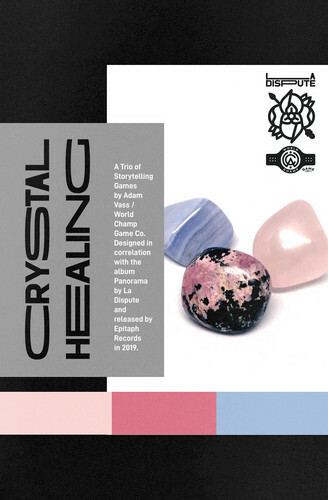 Rose Quartz is presented here as a pay-what-you-want single game for people interested in the whole book. 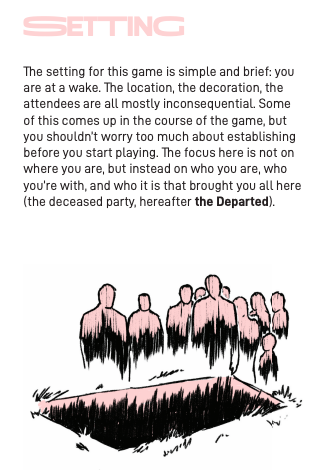 Players are guests at a funeral for a person they each knew in their own reasons and use standard playing cards to generate prompts for scenes, conversations, monologues, speeches, and thoughts. 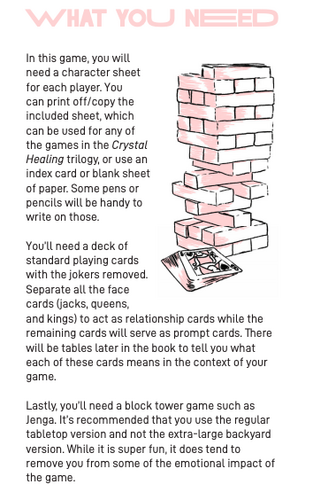 A brick tower (like Jenga) is used to physically represent the declining stability of each attendee. 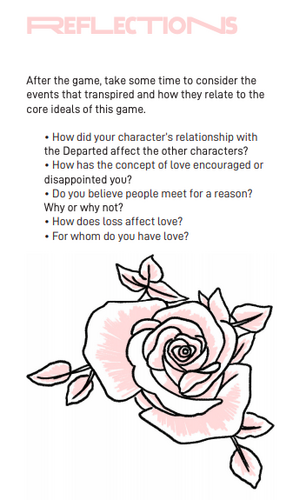 This game explores themes of love, altruism, and subjective reality. The print book with all three games is available for pre order via: https://www.hellomerch.com/collections/la-dispute. A digital version will be made available here on our itch page.